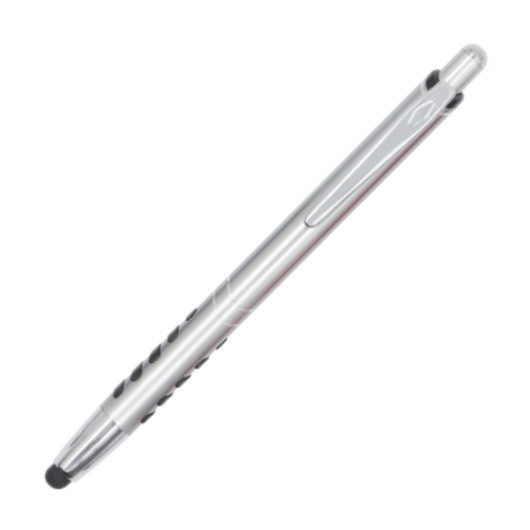 A dual function stylus that is fully compatible with all touch screen devices and has a black ball pen when you need to write. This stylus pen gives you the ability to write with precision, either by using its pen when writing on paper or on your electronic device. The plastic disk glides effortlessly across your touch screen device making for an efficient and natural experience while also protecting your screen from scratches. 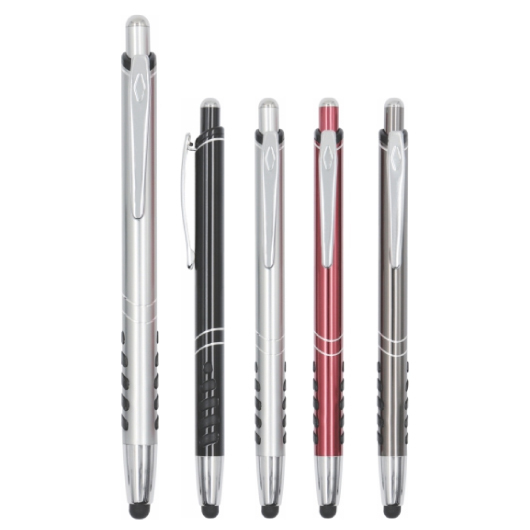 It has anodised aluminium barrel with shiny chrome trim, and black low viscosity ink with 1.0mm tip.